Charming single story on 1.3 acres! Vaulted ceilings in kitchen, family room & bedrooms create spacious feeling. Kitchen has stainless appliances, beautiful hardwood floors. Bonus room AND a large family room with french doors that lead to the covered patio and huge landscaped backyard. Room for all your toys, including 3-stall covered RV parking & garage/shop. This is your chance to own acreage with quick access to a commute and more! 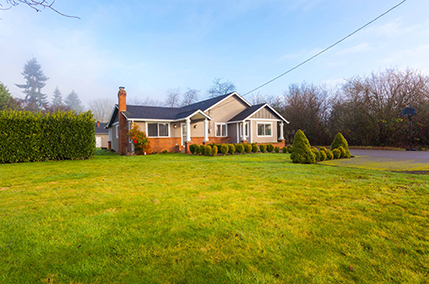 Call Nathan Cano’s team at (360) 823-3333 or contact us today to see more homes on acreage.